Miami Stainless stocks a broad range of stainless steel handrails including ready to install handrails, DIY style handrails and custom made handrails for staircases and balustrades. The popular stainless steel round handrails from Miami Stainless feature a stainless steel tube measuring 50.8mm in diameter (2") with a 1.6mm tube wall. Available in satin finish or mirror polish, the round handrail is cut to size and comes with a huge range of handrail brackets and handrail saddles. Miami Stainless also stocks 25mm (1") diameter tubes, but these are not recommended for handrails. The stylish RHS rectangle hollow handrail has been trending throughout 2016 and 2017, especially on glass staircases. 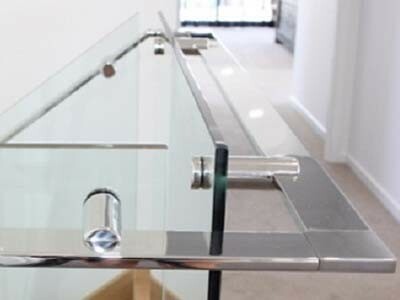 Featuring a stunning appearance, these handrails come in mirror polish or satin finish with a range of standoffs and connectors to suit any custom project. Square handrails from Miami Stainless are also very popular and come in mirror polish and satin finish options. The square handrails measure 50.8mm² and can be custom cut to suit the project requirements. These square tubes are also perfect as posts.